Mike and I love to travel together and last Tuesday we flew to Seattle to spend a whole week (!) 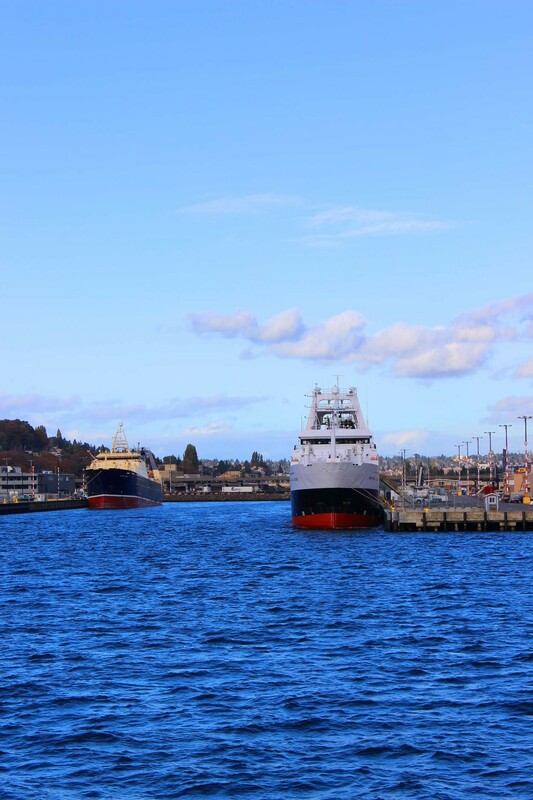 exploring Seattle, Portland and the Oregon coast. I’ve been to thirty-six out of fifty U.S. states so far - the Great Plains/Rocky Mountains are proving elusive - but until this trip I had never been to the Pacific Northwest. I probably should be embarrassed to admit that most of what I knew came from Sleepless in Seattle, The Goonies, and vague memories of the Real World from waaay, waaay back in 1998. So, this was my chance to see some of these places for myself. Vacations are great for a few reasons - change of pace, change of scenery, making new memories - but they also give me an excellent excuse to snoop out new places and shutterbug, which I did a lot of since photos will help us remember our favorite moments. A few days isn’t nearly long enough to become really familiar with a new city, let alone expert, but these were my favorite spots from our trip; places I’d definitely want to revisit or would recommend to my friends. So, here goes with Part I: Seattle. 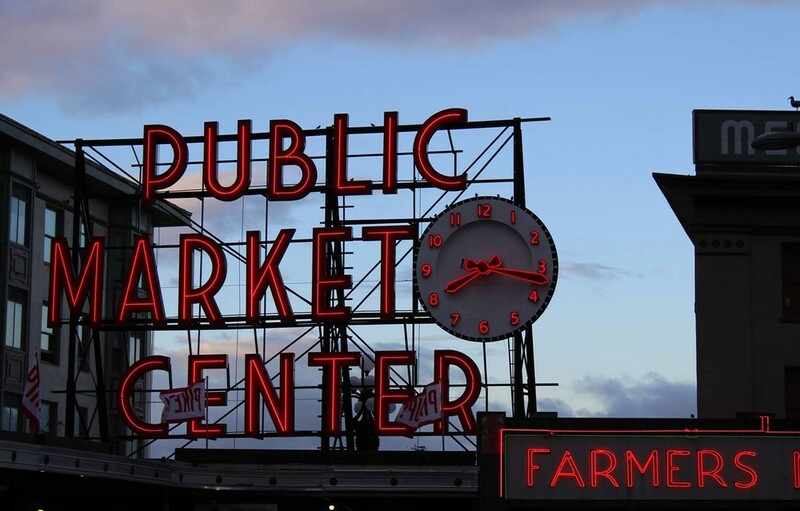 Pike Place Public Market – This one is obvious (I hope) but I really can’t emphasize how much I liked the market and one of the benefits of being on East Coast time is that we were there by 8am and got to see it come alive. At one fruit stand a vendor offered tastings of the half dozen locally grown pear varieties, and once I made my choice (Taylor Gold and Starkrimson) he helped me select specific pieces that would be ripe when we wanted to eat them. Now that’s the ideal way to buy fruit. The Walrus & the Carpenter – One of my birthday presents was Renee Erickson’s cookbook (A Boat, A Whale, A Walrus) so I was really excited to go to the source and visit one of her restaurants. With that kind of build up I was bound to be disappointed, right? WRONG. The food, the drinks, and of course the Oysters (capital O since they’re the star of this show) are wonderful. Simple, elegant, delicious and served in a gorgeous setting by a talented staff. We pretty much didn’t want to leave ever. Serious Pie & Biscuit – Doesn’t a biscuit-based breakfast sandwich sound like a great place to start the day? Honestly, just writing that makes me wish I had one of the fried green tomato sandwiches right now. The food is excellent and it’s practically on the way to the Space Needle, so there’s no excuse not to go! Beecher’s Handmade Cheese – This shop is just across the street from the main market building and is an awesome spot to pick up a snack (cheese curds & crackers anyone?) or grab an excellent grilled cheese sandwich. Beecher’s also offers a lot in the way of entertainment/education since you can watch the cheese making process while you have lunch. Works for me. Storyville Coffee – After a busy day of Space Needle-ing, and market walking (gum wall included, oh dear) we needed a pick-me up and no Seattle list would be complete without a coffee shop. Storyville is tucked away on an upper floor, but the stairs are worth it. The coffee is excellent and the baristas are really welcoming – no worries if you’re a caffeine novice. Mike and I are traveling this week and I'm so excited for my first visit to the Pacific Northwest! We'll be working our way south from Seattle to Eugene via Portland and Astoria - the rain boots and jackets are packed, cameras are charged and we have tickets to the Ducks/Stanford football game in our hot little hands. I plan to revel in my inner, flannel-lined Goonie-ness as we scout this gorgeous part of the country. I can't wait to share some of our favorite discoveries with you when we get back! Until, then happy Halloween and remember, Goonies never say die!